LSD Promotions – one of the country’s leading market operators has joined the ranks of Gucci, Donna Karan, Stella McCartney, John Lewis and Next by stopping the use or sale of real fur. LSD Promotions has signed up to the new ‘Fur Free Markets’ scheme run by the UK’s leading anti-fur organisation Respect for Animals. The markets run by LSD, which has the tagline ‘markets with a heart’, become the first ‘5 Star’ fur-free markets in the UK. The move will reassure consumers who visit LSD run markets that any items on sale should not be made from real fur and that they are not at risk of accidentally supporting the cruel and unnecessary fur industry. There is clear evidence that market stalls are now a significant way in which real fur is being sold in the UK – often without consumers realising it. 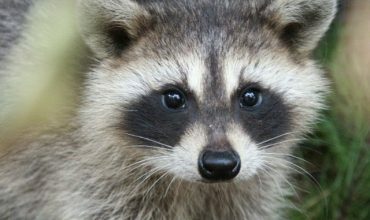 Respect for Animals has contacted all Local Authorities in the UK asking them to adopt ‘no fur’ policies that would bring an end to the sale of real fur at local markets – including Christmas markets – in their jurisdictions. There is no legislation requiring real fur items to be labelled as ‘real fur’ and it is clear that people are buying real fur thinking it is fake. The sale of real fur pompom hats has become widespread and these items are often to be found on sale at markets. Respect for Animals has consistently found real fur bobble hats sold at the same cheap prices as fake fur. This very cheap fur is often imported from places like China, where there is virtually no enforced animal welfare legislation. “We have become increasingly alarmed about real fur items being sold at markets around the country. 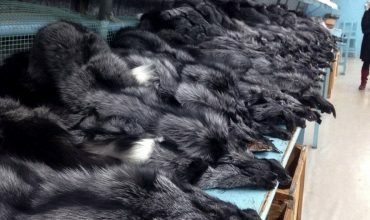 Much of this fur is not labelled as real fur and many consumers are horrified that they risk buying items in the belief they are buying fake fur. “It’s not good enough to just expect consumers to be vigilant on their own, so we are working with impressively professional market operators, such as LSD Promotions, to reassure shoppers and stop the barbaric fur industry from creeping into fashion. The new Fur Free Markets webpage and Local Authority responses can be found at www.respectforanimals.org/fur-free-markets which gives each council a star rating. A council which allows the sale of fur and has no policy receives no stars while 5 stars are awarded to those who sign up to the ‘Fur Free Markets’ scheme. Respect for Animals supports the enforcement of the Fur Free Markets policy by microscopically testing dubious items free of charge. No financial commitments are required by council or market operators and they are given free access to Fur Free Markets branding. Markets that are officially designated Fur Free Markets are the gold standard of assurance for consumers concerned about accidentally buying real fur. Respect for Animals is the UK’s leading anti-fur organisation. 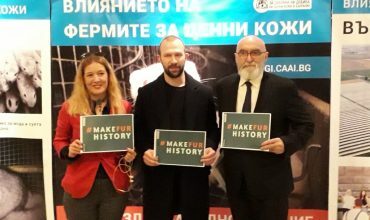 It led the campaign that ended fur farming in the UK and was at the forefront of successful campaigns to ban the import of dog and cat fur and the products from commercial seal hunts into the European Union. Approximately 100 million animals are killed each year just for their fur.